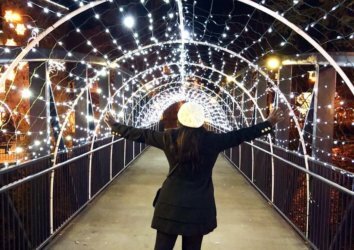 Are you thinking about visiting Gatlinburg and the Smoky Mountains? 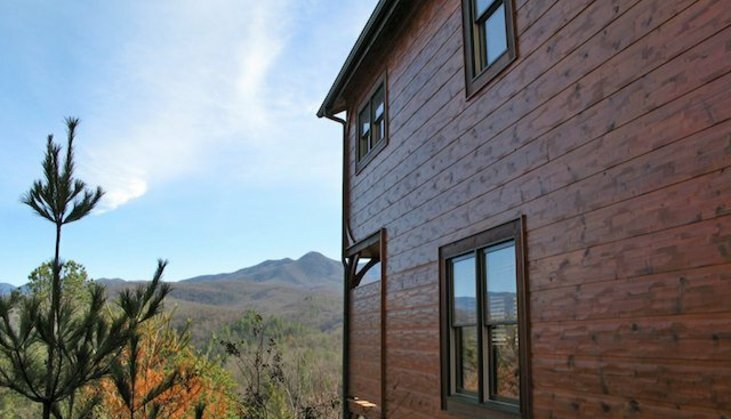 Gatlinburg Falls Resort is one of the most upscale cabin developments in our entire region! Whether you are looking for a perfect location, seasonal resort-style pools, exercise rooms, mountain views, private hot tubs, or game rooms, this resort has you covered. 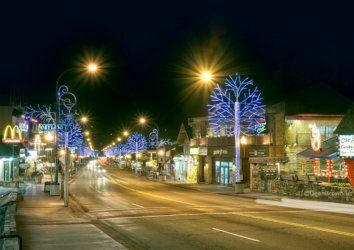 Gatlinburg Falls Resort is located just a few minutes (less than one mile) from downtown Gatlinburg and faces Mount LeConte, which is the best view in our area. Looking to take a day off from the Great Smoky Mountains National Park and downtown Gatlinburg? No problem. With two resort-style pools and a workout room, Gatlinburg Falls Resort offers many of the amenities you would expect to find at an upscale area hotel. 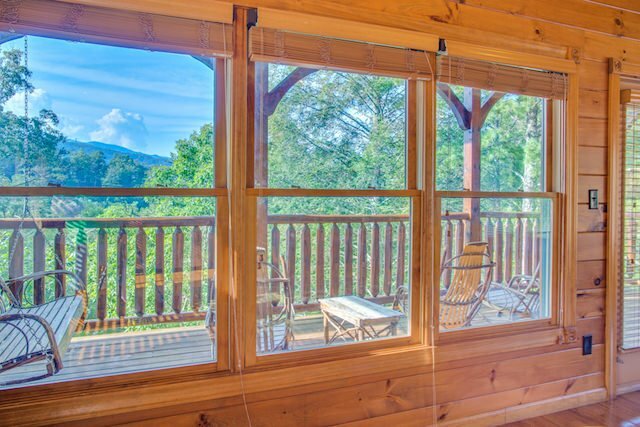 Heaven’s View, which is located in the Hidden Valley section of Gatlinburg Falls, is a two bedroom cabin with incredible views. This luxury property features a two huge, covered decks complete with immersive views of the mountains. 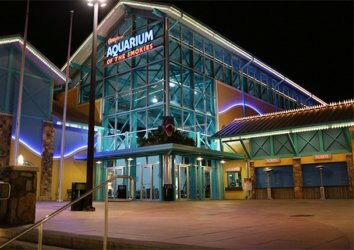 In addition, your group is sure to enjoy the air hockey, foosball, billiards, and full-size arcade. 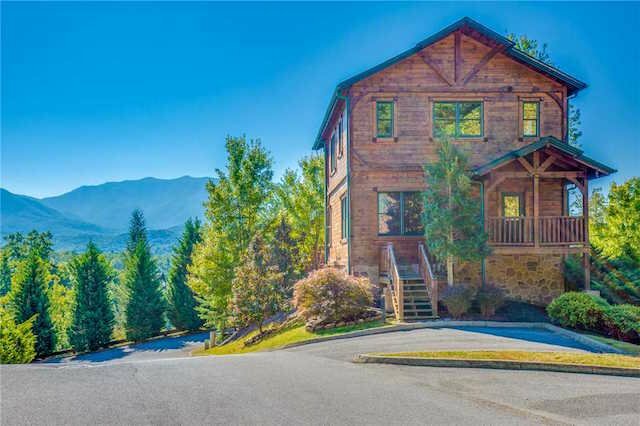 Million Dollar View, which is located in the Hidden Valley section of Gatlinburg Falls Resort, is a two bedroom cabin with 180-degree Mount LeConte views. The large, covered decks are the perfect place to enjoy a cup of coffee, meal, or relaxing soak in your private hot tub. This property is generously equipped with a pool table, multiple full-size arcade games, air hockey, poker table, flat screen TVs and more! 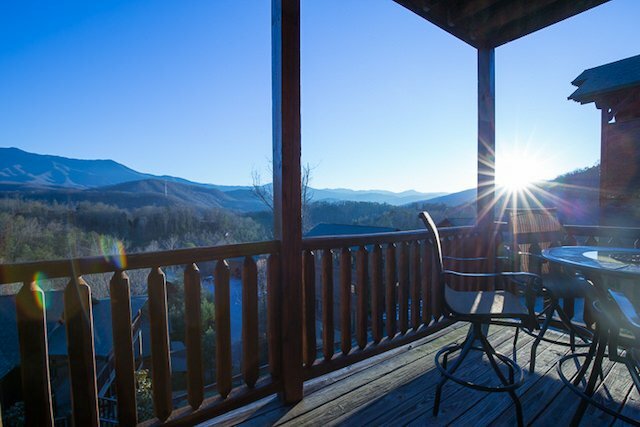 Moonlight View, which is located in the Parkside section of Gatlinburg Falls Resort, features unparalleled, direct views of the Smoky Mountains. The living room complete with a stacked stone fireplace and flat-screen TV makes the perfect spot for a family movie night. The location of Gatlinburg Falls and Moonlight View is perfect. 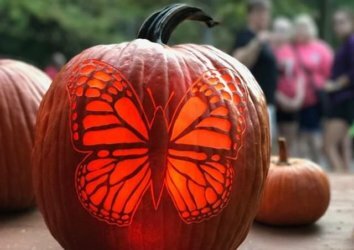 You are close to the main strip, the Arts & Crafts Loop, & the Great Smoky Mountains National Park. 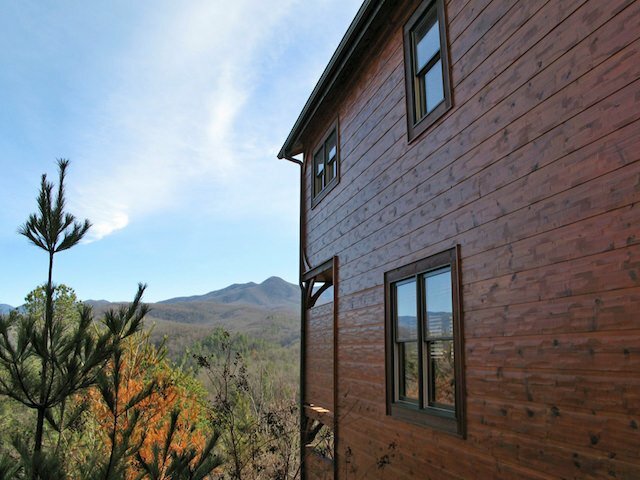 The Great Escape II is a luxury cabin located in the Hidden Valley section of Gatlinburg Falls. This large property offers guests the perfect combination of affordable pricing, resort amenities, luxurious finishes, and an excellent location. 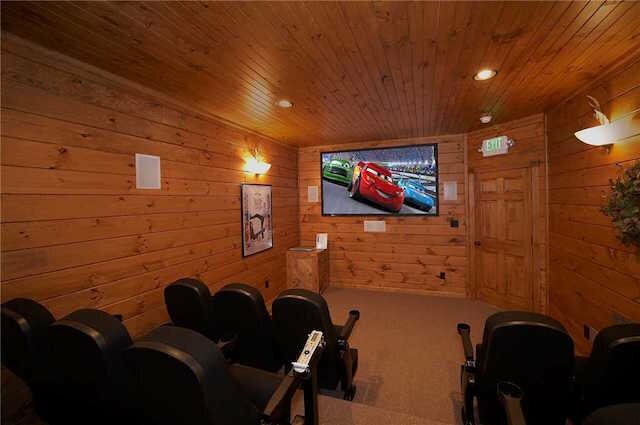 One of the highlights of this property is the full-size, stadium-seating theater room. With a theater room, arcade games, pool table, covered decks, and a private hot tub, a rain day is not an issue! Gatlinburg Majesty is located in the Hidden Valley section of Gatlinburg Falls Resort and is surrounded by trees, mountains, and beautiful views. 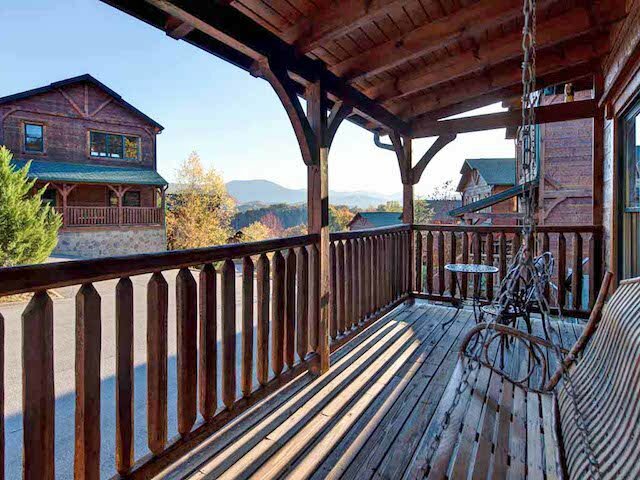 This property features three covered decks complete with rocking chairs, a private hot tub, and sunrise views. If your kids need a break from nature, the upstairs game room features a pool table, air hockey, Golden Tee golf arcade, and a full-size multicade. In addition to the four ‘proper’ bedrooms, this property also features a bunk bed and pull-out sofa in the game room. Tennessee Walt’s is a spacious cabin located in Gatlinburg Falls. This three-story lodge has plenty of room to spread out and enjoy your vacation! The cabin is complete with a theater room, pool table, private hot tub, arcade games, air hockey, and huge decks. This is the perfect vacation cabin to unwind in! 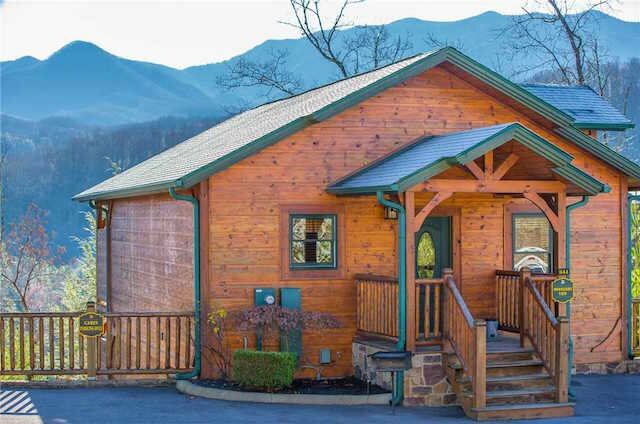 The Great Outdoors is a beautiful property located in Gatlinburg Falls and is near all that the Smoky Mountains area has to offer. Your kids are sure to LOVE the game room! It is complete with a full-size arcade, pinball machine, xbox, and more. While the kids are occupied, Mom and Dad will enjoy time soaking in the private hot tub. 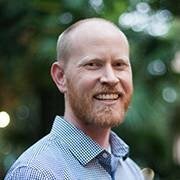 We look forward to having you here in the area!